While sitting, laying or sleeping in your bed the last thing you'll want to do is jump out of bed for a tissue, the remote or any other small item. Tired of knocking your book or tablet off your nightstand? 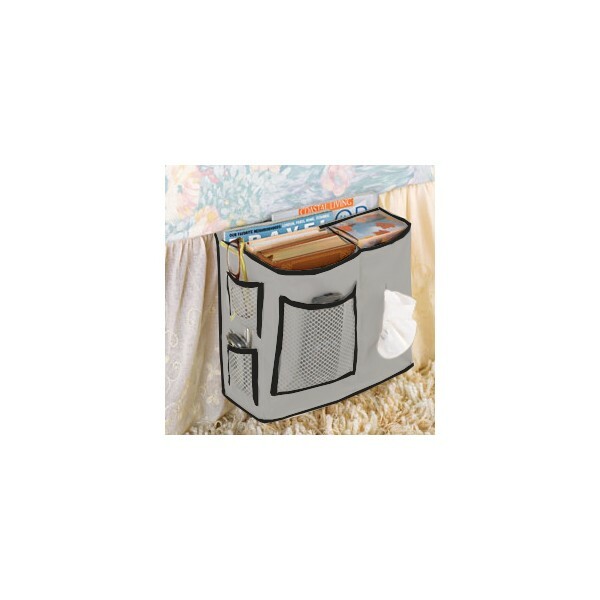 Ultimate Bedside Organizer keeps essentials at your fingertips and hangs over your bed and holds just about everything you need within arm's reach. 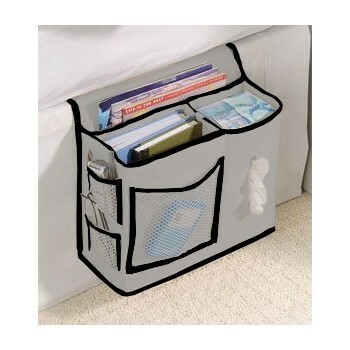 This clever Ultimate Bedside Organizer will keep the items you use most in convenient reach. Held in place by your mattress, it hangs on the side of your bed so it's out of the way. 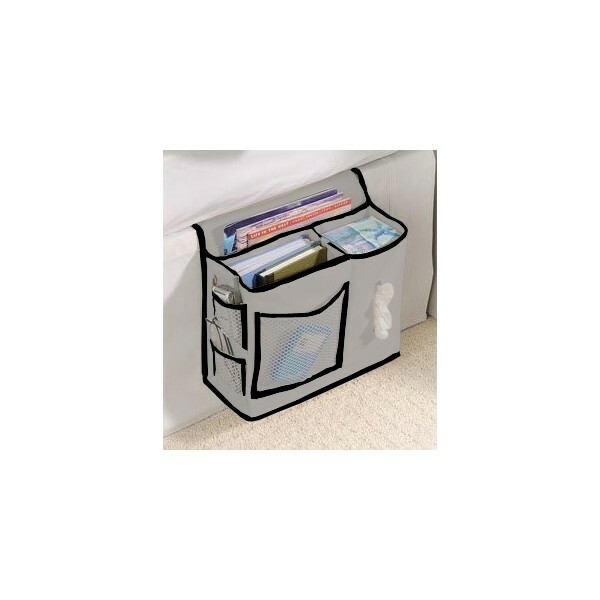 The Ultimate Bedside Organizer has specially sized pockets to hold a wide variety of items, from a box of tissues to your tablet and the TV remote. Great for holding: - Eye Glasses - TV Remote - Cell Phone - MP3 Player - Tissues - Books (not textbooks) - Pens/Highlighters. We try to show product colours as accurately as possible, but please be aware that there may be slight differences in colour between the online images and the actual products themselves. 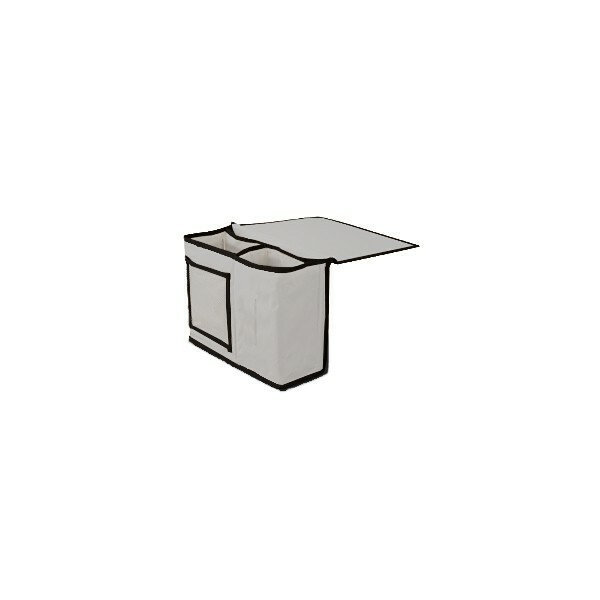 Contents not included﻿﻿﻿﻿.